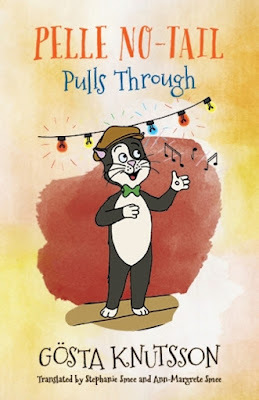 Pelle No-Tail Pulls Through, the third book in this excellent series, again sees the nasty Mans following one direction in life; making trouble for Pelle No-Tail. It’s March. Snow covers the streets. This doesn’t deter the jealous bully Mans from going out and stirring up trouble for Pelle, always using Pelle’s lack of tail as the centre point of each attempt. Pele’s adventures are measured by the seasons and travels with Birgitta and her family to new places. Swing is Birgitta’s current interest. When Pelle mentions it to Mans and his cronies, the king of nasty uses it as the next issue for attack. Hilda and Hulda, cat friends, insist that it is the current craze. That’s not what Mans wants to hear. He is quick to plan and execute revenge for some unseen thing that Pelle seems to have done - again. Pelle wears his red bow that Birgitta gave him. He goes on trips to exciting places with a family that loves him, and returns with new stories to tell each time. He has gained knowledge from his travels and former life. He is accepting of all cats and people and has a positive and optimistic outlook on life. And he never gives in to Mans’ taunts. These things make Mans dislike and want to punish Pelle for having and being what he unconsciously longs to have and be. I love this series. It has strong messages about accepting who you are, and offers examples of dignity and compassion towards even the unkindest others. 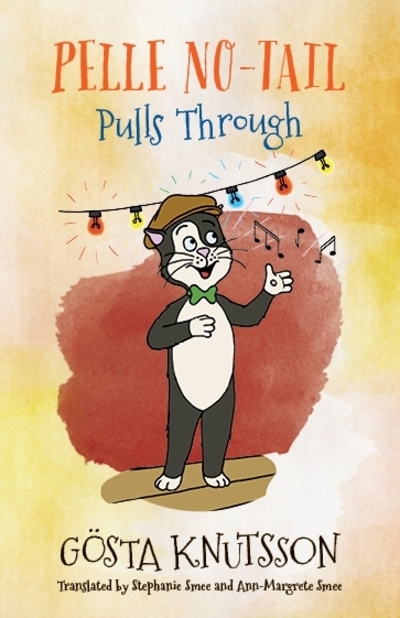 It shows kids through the cats’ lives and actions, that even if you are different, you can be a special individual. Often bullying and cruelty is shown by people who want to be just like you. Reviews for the first two books in this series can be found, here (Book 1) and here (Book 2).